At the dawn of senior year and constantly throughout the college application process, many seniors use Naviance to estimate their chances of getting into a college. This scavenging often consists of zooming in on scatter plots that show results of decisions from previous years. But there’s a reason that students have access to this online tool that allows them to view reported acceptances, rejections and waitlists from their favorite schools. The Fremont Union High School (FUHS) Foundation aims to support more than 11,000 students who attend FUHSD schools. Independent of the district itself, the organization raises funds and distributes them among the five schools, catering to different activities, classes, departments and clubs, including Naviance. The STEM class, for example, allows students to compete in science fairs and is also partly funded by the Foundation. Other campus funding includes Robotics competition fees, which range from $3,000 to $4,000 per year, supplies for Theater Arts and an Injury Cooling Unit that provides active cold and compression therapy for athletes in the athletic trainer’s room. Teachers are also invited to submit grant requests for certain activities they’d like in their classrooms or for a club they advise. On the district level, the Foundation funds services like Schoolloop as well as the District-Wide Art Show, which will be held at Vallco from April 15-17 this year. MVHS Assistant Principal Mike White and Vice President of the Foundation Hung Wei host the donation administration, offering wine to donors of $500. Such funding comes from various sources, but according to co-president of the Foundation Loy Oppus-Moe, most of it comes from parent donations. Parents are asked to donate $400 per student, usually at the start of the school year. However, Oppus-Moe understands that not all families are in the position or have the incentive to donate, and so one of the Foundation’s challenges is to communicate its values to the community to persuade more families to donate. For Oppus-Moe, part of that value is supporting the enhancement of quality education. One of her motivations for joining the Foundation was the benefit her own kids received from their school. Her son was involved in track, and so she sought to donate to Athletic Boosters. Starting out as a member of the Parent Teacher Student Association, Oppus-Moe decided to join the Foundation as a way to contribute to the educational community after her children graduated from MVHS. 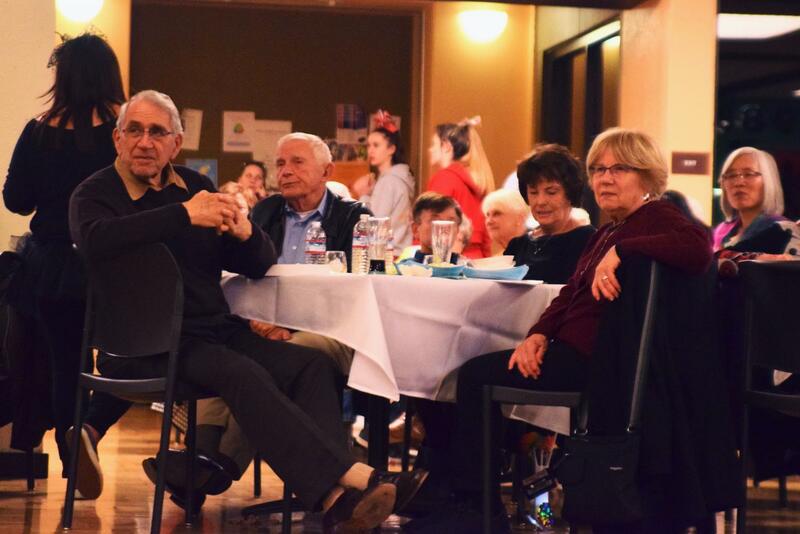 Aside from parent donations, the Foundation hosts fundraising events, such as the crab feed, co-sponsored by and held at De Anza College. Though the crab feed was successful for nearly 10 years, Oppus-Moe felt that it was not the most practical way to fundraise, given the large number of vegetarians in the area and the difficult nature of eating crab. As an alternative this year, the Foundation decided to host an 80’s-themed Spring Fling. 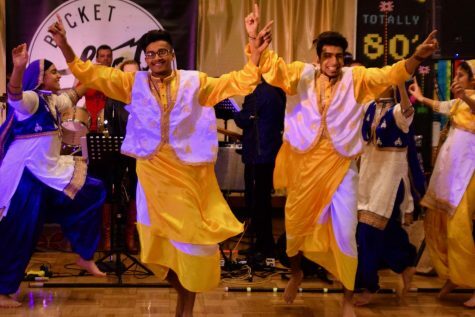 On March 29, Cupertino residents, parents, school administrators and students gathered at the new De Anza Campus center for a night of watching performances, dancing, auctioning and learning about the local schools’ programs. Co-sponsored by De Anza College, the purpose of the event is to showcase district projects and programs. Members of clubs and programs that the Foundation sponsors spoke at booths, informing the public about the programs that the Foundation funds. These programs included Bay Area Youth Career Opportunities (BAYCO), Lynbrook HS’ robotics team (also known as Funky Monkeys), journalism, MVHS STEM and FUHSD athletics. At the Spring Fling, MVHS STEM student and sophomore Jordan Naddaf spoke about her project involving the effects of an increased zinc concentration in the air on the sense of smell of fruit flies. The Foundation provides a base of $50 for each student to spend. Naddaf says that this amount sufficiently covers basic materials such as a beakers and petri dishes. The Foundation also provides the teacher’s salary, science teacher Renee Fallon, for the STEM period. Despite her initial worries of succeeding in the STEM class, Naddaf is grateful to be able to learn the steps to create her own project through the class, as well as being able to share her experience at the event. In addition, construction activities at each of the five FUHSD schools were showcased. Each school underwent some level of construction in the last few years, such as a new library at Homestead HS and a two-story building with state-of-the-art science classrooms at Cupertino HS. Homestead HS’ Bhangra team performs at the Spring Fling. Other performances included Lynbrook HS’ Deewani, LHS theater and MV Song. 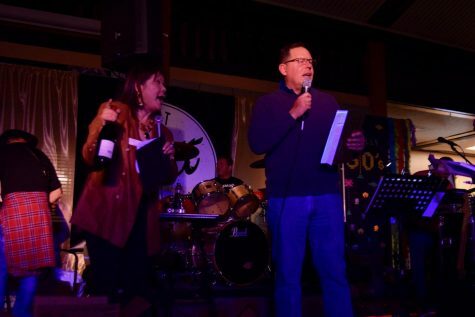 The Spring Fling also issued an auction, offering exquisite prizes such as trips to Hawaii, Lake Tahoe and Carmel, a Star One Helicopter Ride and tickets to a Golden State Warriors game. Oppus-Moe hoped that people would simply enjoy the event but also learn about the activities of the Foundation and the clubs and organizations across the five high schools. For further fundraising, MVHS vice principal Mike White and Foundation Vice President Hung Wei asked for donations up to $15,000. Numerous silent auctions were also being held for wine packages and other items. Oppus-Moe hoped that the event would spark engagement with the Foundation’s mission, not just potential donors, but students who can volunteer and be part of the Foundation’s marketing team, invite stores and restaurants to donate to auctions or become sponsors, or simply volunteer at events like the Spring Fling. She also believes that companies want their employees to be involved with their community and are potential sponsors for communal activities their employees care about.